Several earlier posts have discussed aspects of Steve Pincus’s 1688: The First Modern Revolution (link, link). The book provides a major rethinking of the events and significance of England’s Glorious Revolution, and it has already made a deep impression within English studies (link). Pincus tells a large, complicated story, spread out over a period of several decades and including important actions, persons, and events in England, Scotland, Ireland, France, and the Netherlands. Much of the interest of his account is how fundamentally it differs from the received narrative, its novel use of familiar and new resources, and the author’s strong ability to link to current work in some areas of the historical social sciences. But here I want to raise a different sort of question: how could we propose to make this story more vivid and comprehensible for the reader? The book is organized as a fairly traditional academic argument, with chapters on Catholic modernity, pre-Revolution policy change, and aspects of the Revolution itself. Pincus marshalls his evidence to tell a significantly different story from the received one. And as an academic work, it is highly readable and logical. But it is from beginning to end a complex canvas, and it is difficult for a non-specialist reader to keep it all in mind. How might an author — or a producer — more fully engage the reader’s historical imagination in these complex events? How might the material be presented in a way that gives the reader a more comprehensive apprehension of this history of the English Revolution? One possibility is a very well produced and very long film. A dramatization could serve to give the viewer a more vivid sense of acquaintance with the central actors — James, Monmouth, William. Dramatic reconstruction and enactment certainly gives the viewer a more visceral grasp of the historical personnages. But another value of dramatization could be to give the viewer a better grasp of the mass politics of the events — skirmishes with brigades, vandalism against Catholic churches and property, and a few major battles in Ireland — and perhaps even a sense of the motives and passions that moved people. 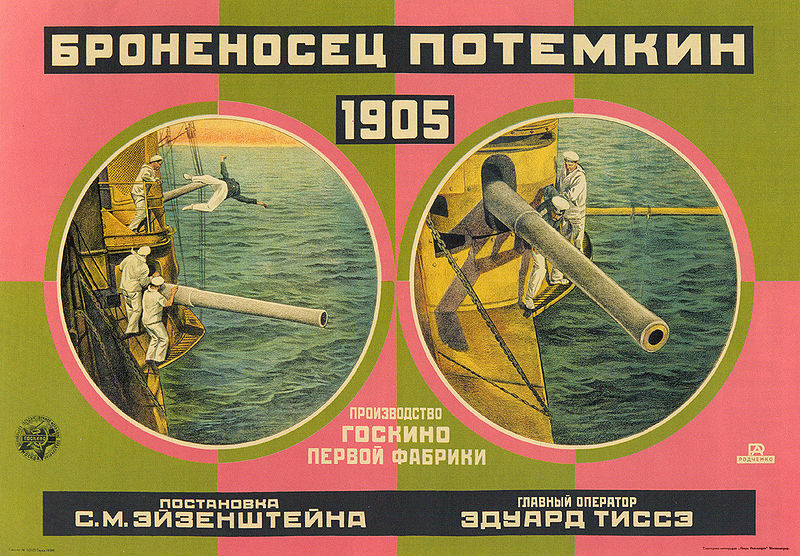 Viewers of Battleship Potemkin (link) certainly come away with a more intense set of representations of the Russian revolution of 1905 and some of the personalities than they do from reading Trotsky’s History of the Russian Revolution . But the film described here would be very long — even Sergei Eisenstein’s canvas would fall short. (I seem to recall reading a long time ago that Eisenstein once proposed to produce a seven-hour film based on Marx’s Capital.) And the academic historian has specific cognitive goals — to present a narrative of the period, to refute common assumptions (“no mass underclass violence in the Glorious Revolution”), and to present some compelling evidence for the interpretation. So a film probably wouldn’t be a satisfactory platform for Pincus’s academic goals. He wants to present new knowledge, not an abbreviated and highly selective sketch. Another possibility that appeals to me is a mutimedia production that is integrated with the existing book. A core element might be an interactive map that the reader can manipulate — “what was happening in Essex at this time?” — and that is keyed to the text itself so the reader always has a sense of the geography of the events. This hypertext “rich” document might also include significantly more graphics — reproduction of key pieces of archival evidence, contemporary paintings and engravings of events, graphs of important population and trade statistics, a snippet of Youtube video in which another major historian of the period offers an alternative reading. (Here is Simon Schama on Anne Boleyn (link)). Here the idea is that the historian needs some new tools of representation for better conveying to the reader a grasp of the complex, multidimensional argument and narrative. This suggests the value for academic historians of taking very seriously the potential of “rich” media as an integrated platform for conveying arguments and knowledge. And here I’m not thinking simply of pedagogy — how to get these complexities across to the lay reader — but new ways of presenting the historian’s central ideas and arguments. Perhaps this kind of rich document could actually be a better way of making the case based on narrative, multimedia components, interactive maps, graphics, etc. One difficulty with this notion is the fact that historians are trained as narrative writers. They have learned to organize their thoughts into arguments, narratives, and chapters, and they expect their readers to do the work of putting it together into an integrated historical presentation. The skills possessed by an Eisenstein or a David Simon, executive producer of The Wire, are substantially different — more graphical, more attuned to the audience (viewer/reader), and more able to encapsulate their story into a handful of scenes of drama that permit the viewer to connect the dots and arrive at an interpretation of the full story. These are skills that are entirely foreign to PhD training in history. I suspect that not many academic historians would be especially receptive to these ideas, and sometimes for good reasons. (Simon Schama may be an exception; his efforts with the BBC to put together a serious multi-episode history of Britain indicates a willingness to experiment with new forms of presentation of history; link.) A central part of the resistance from traditional historians might reasonably reflect their core views of what a “history” of something needs to accomplish. The academic historian’s primary goals are cognitive and epistemic: offering interpretations, drawing inferences, and providing evidence for their views. Part of the task of a narrative is to distill the complex whole into a comprehensible set of events. Another part is to categorize actions and occurrences. It is to provide a more abstract analysis of the events. And sequential narratives may be thought to be a more-or-less ideal form for this kind of logical, cumulative argument. All this said, it does seem clear that there are tools for the presentation of knowledge that may prove more helpful than the printed page for synthesizing a large complex story, and it would be very interesting to see what happens when a few innovative academic historians begin thinking along these lines.